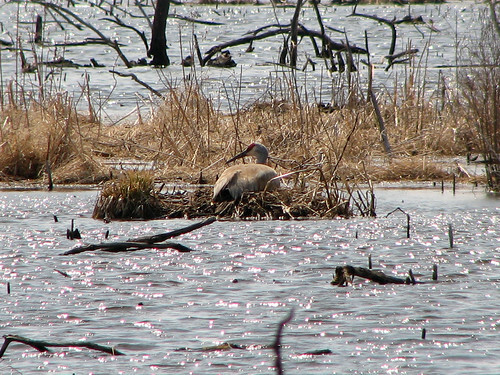 Nesting Sandhill Crane, Volo Bog State Natural Area. Get Wordless! 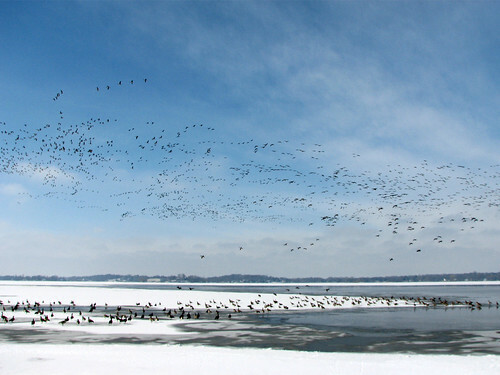 Common Loons migrate through Lake County here in northern Illinois in early spring. I grew up in the northern Chicago suburbs, but until I became a birder I had no idea that loons passed through our lakes during migration. It wasn’t until 2009 that I saw loons for the first time. Judging from some of my blog visitor statistics, there are more locals interested in finding loons during the brief time they visit our part of the state. 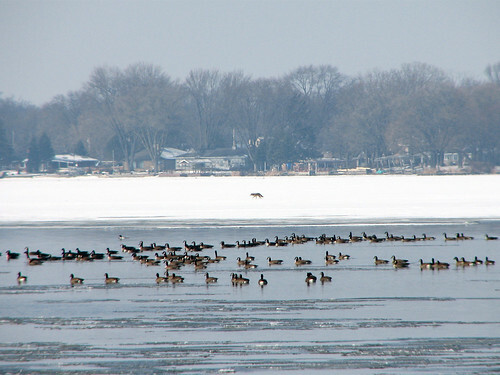 I’m no expert but I do have some tips for finding loons in Lake County, Illinois. 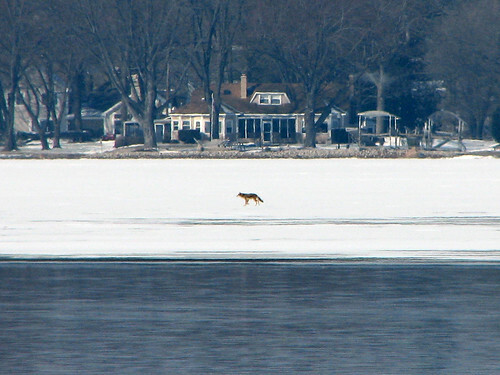 When can birders find Common Loons in Lake County? The time to look for Common Loons in Lake County is right now. 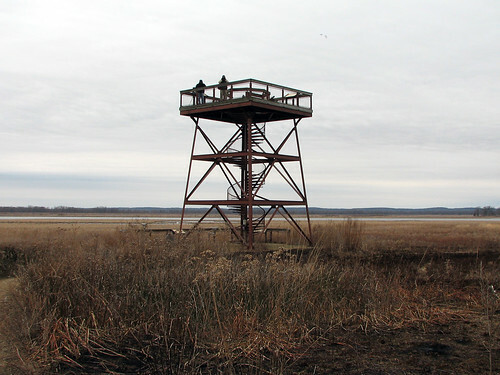 At least two area bird clubs offer annual loon-finding trips. These trips are free to everyone – you don’t have to be a member. The trips run as caravans and you can end your day after any stop on the route. 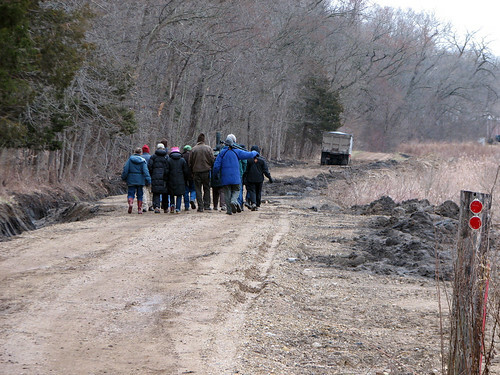 Last week we joined Lake-Cook Audubon on their Loons of Lake County trip. 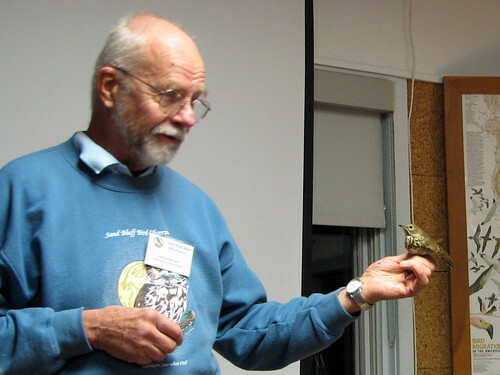 Dave Johnson leads a Looney Trip each year for the Evanston North Shore Bird Club (we joined the Looney Trip in 2009). 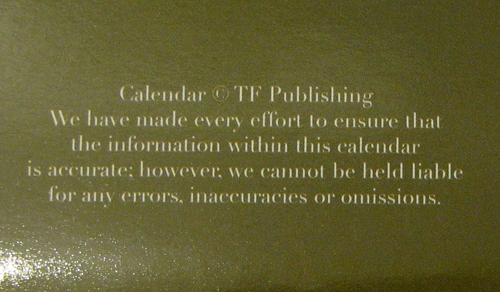 This year’s trip will take place April 2nd. 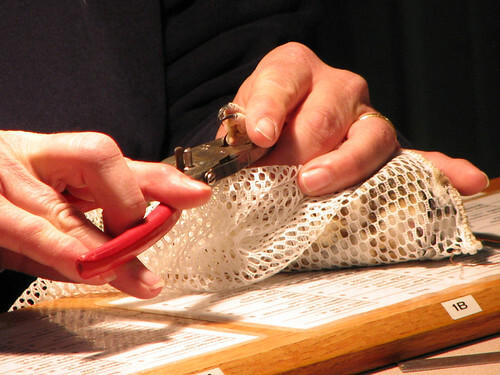 These trips generally occur during the last week of March or the first week of April. With migration, anything goes, but generally this time period will be your best bet to find loons. Where is the best place to find Common Loons in Lake County? You don’t have to join a club outing to find loons (although both clubs mentioned above are a lot of fun!) in Lake County. 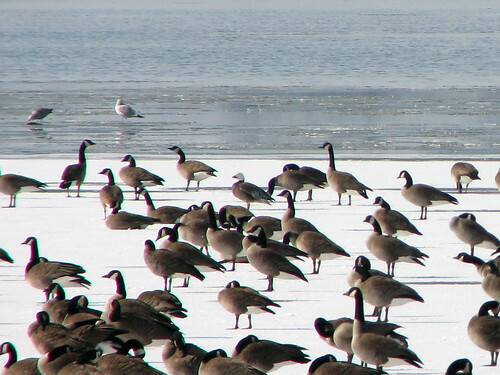 While there are a few glacial lakes that are probably good bets year to year, if you’re limited in time it’s a good idea to keep an eye on what other area birders are seeing before venturing out on your own. There are a few great resources for this. 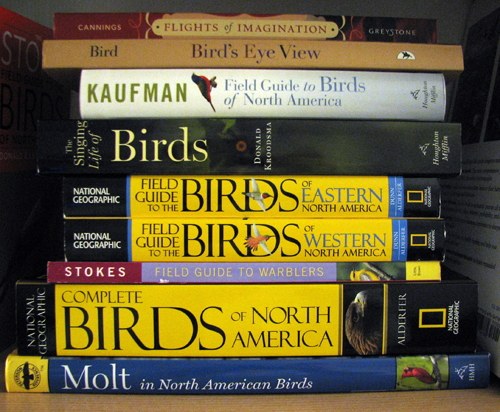 One is the Illinois birding mailing list (listserv) IBET. You don’t necessarily have to subscribe because recent posts are archived to the public online: Recent Postings from The Illinois List. 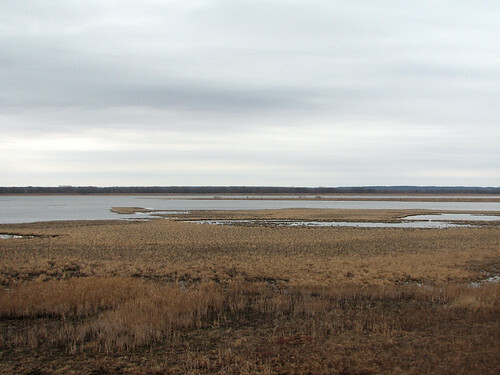 At the time of this writing, I see posts from other birders reporting loon sightings in Cook, Jasper, and Winnebago counties, plus a few posts about a “Loonapalooza” in the Chain-o-Lakes area (Lake & McHenry counties). 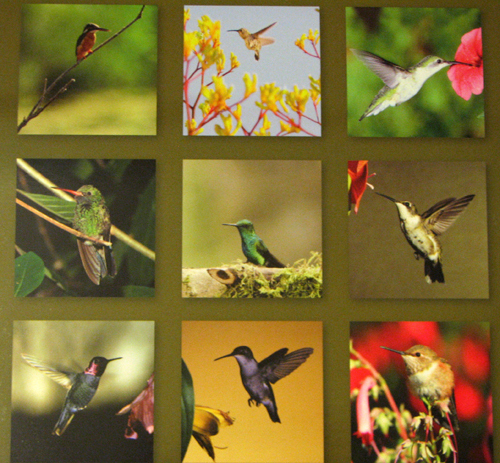 Another great place to check is eBird. 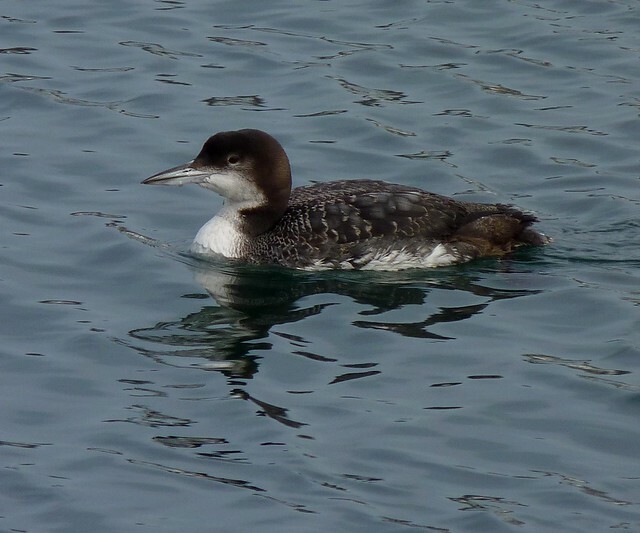 A quick look at the eBird entries for Common Loon in Lake County, Illinois in March and April over the last five years reveals a few hotspots and recent sightings: Fox Lake; Long Lake; Independence Grove; Butler Lake; Lake Zurich; and Diamond Lake. If you’re going out on your own, keep in mind that loons (also known as Great Northern Divers) prefer larger, deeper lakes. 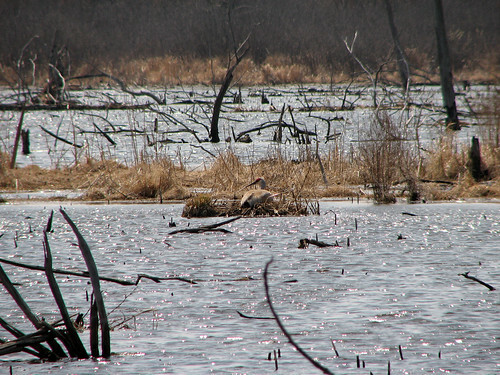 Why do birders look for Common Loons in Lake County during spring migration? 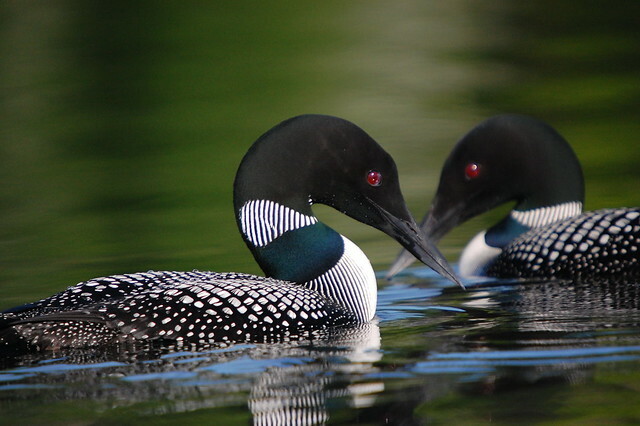 Loons are considered medium-distance migrants, spending the winter in coastal areas of North America and breeding across much of Canada and far northern areas of the Great Lakes in the United States. In the spring, they take on their beautiful, striking black-and-white breeding plumage. 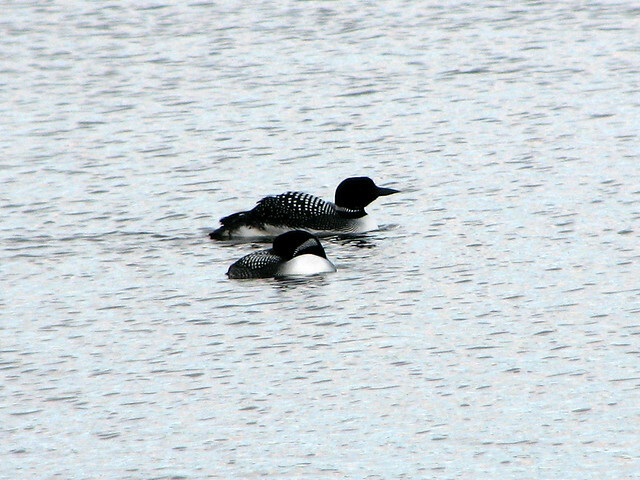 Loons are typically easier to find in Lake County during the spring migration; fall migration is more protracted so you’re less likely to find them in quantity during the fall. And while loons can be vocal all year, you’re more likely to hear their haunting wail calls during the spring as breeding season approaches. The scene as we pulled the car over. 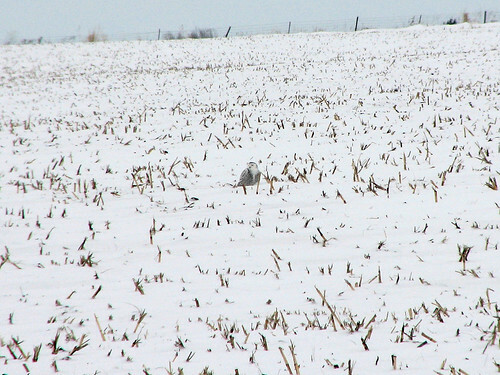 Yes, there’s a Snowy Owl in this picture. We got to watch the Ogle Co. 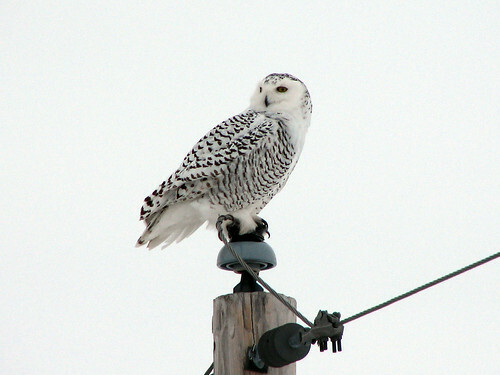 Snowy Owl for almost two hours. 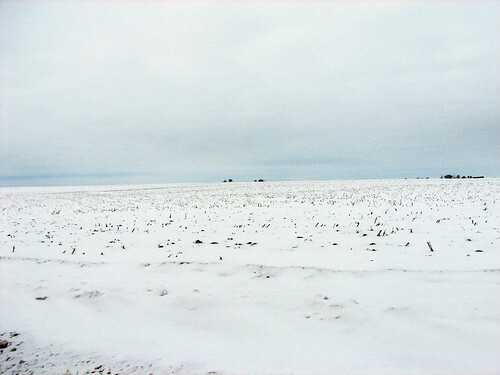 She stood in a field north of Rte 72 and west of N. Fork Creek Road from the time we got there at around 2pm for about 90 minutes. She did a little bit of preening, and at one point she stretched out one of her legs behind her, showing off a gorgeous fluffy limb. Most of the time she was on the ground her eyes were nearly closed, either horizontal slits or impossibly cute upside-down U-shapes, making her look like a cartoon of contentedness. There were several cars parked along Rte 72 while we were there, and occasionally a driver would slow down and ask us what we were looking at. 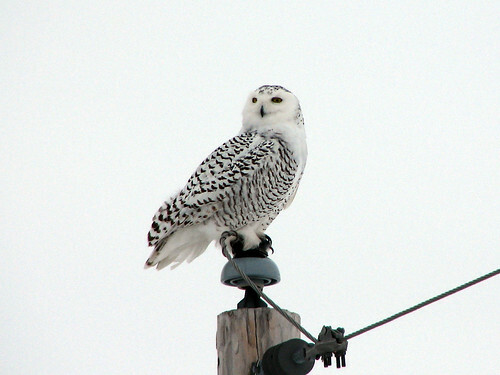 Once, a woman asked “hoot owl?” when I told her we were looking at a Snowy Owl. 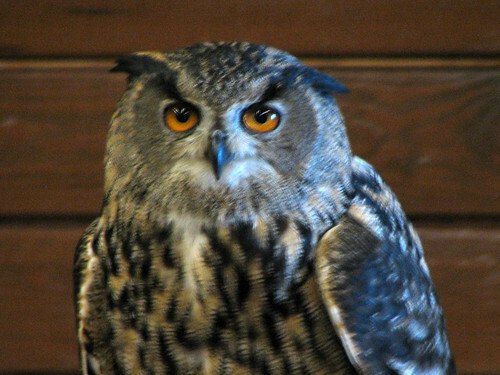 I repeated myself, and then answered her blank stare with “the white owl!” As she drove off, I heard her tell the others in her car that it was a “hoot owl.” WTH? 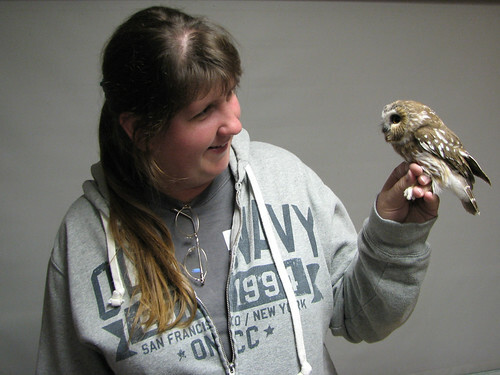 A lot of the other owl watchers had binoculars and cameras, and I was happy to let them look at her through our scope. 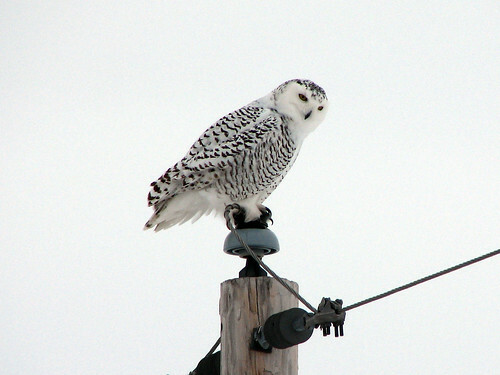 I would be staring through the scope for a while and someone would come up and ask hopefully, “Have you seen her yet?” It was really nice to give several fellow birders a good scope view of their lifer Snowy Owl. It was cold and she wasn’t moving much, so I went inside the car to warm up a few times while we were waiting. We saw her flap her wings once while on the ground and Arthur and I leaped out of the car to get a better view. 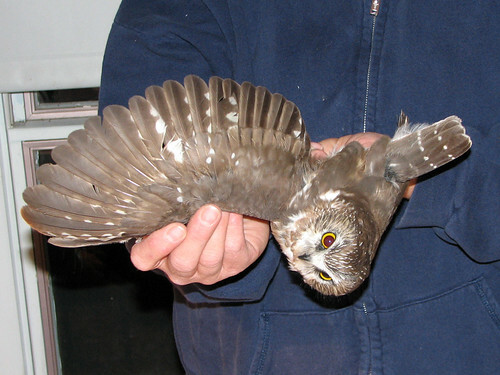 Looking through the scope we could finally see her beautiful big yellow eyes, open and alert. 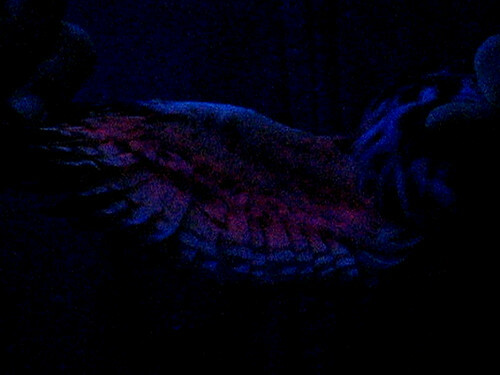 We could sense she would fly soon, and we were right! She flew towards the road and then over the road. 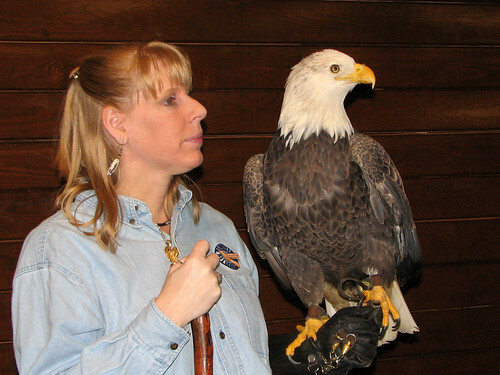 It was a beautiful, strong, silent flight, and I think everyone was just standing there completely awestruck. She flew right over us! She made a U-turn over the field and flew back towards the road, landing on a utility pole about a half block from where we were standing. Arthur and I started walking towards the owl, but just at that moment another viewer came up to US (of all people there) and asked US to tell her all about Snowy Owls. WTH? 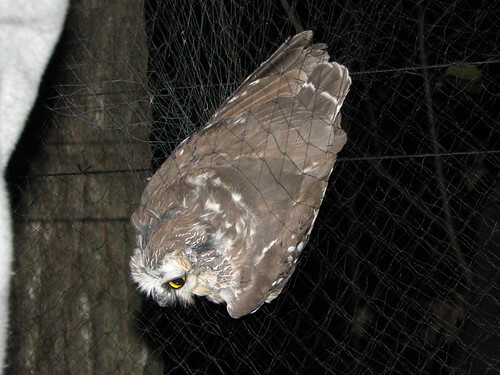 As I was telling her why the owl was thought to be a young female bird, and why she might be here instead of further north, the owl flew off the pole back into the field north of the road. 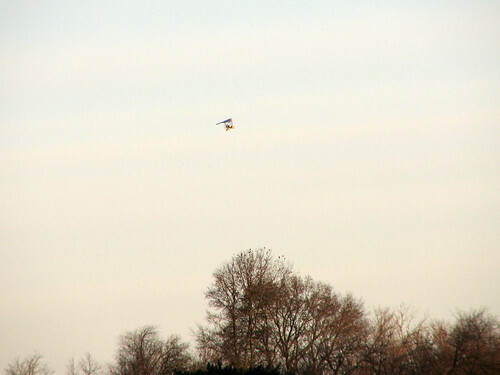 I had followed her flight through my binoculars and seen her land kind of awkwardly. We were able to pick her up again through the scope. She hadn’t landed awkwardly, she had pounced on prey! We got to watch her swallow it whole! 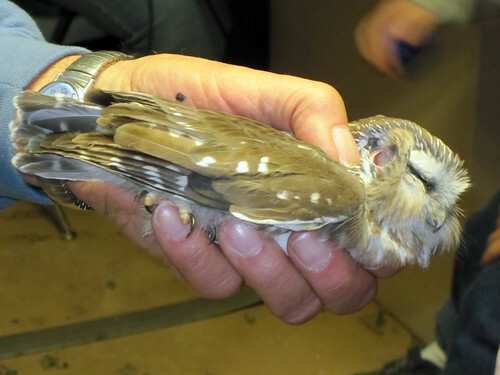 After about 10 minutes she flew back to a utility pole along the road, about a block away from where we were standing. Arthur ran down the road along with a bunch of other viewers while I ran back to the car with the scope and drove towards the bird. We all approached slowly and about a dozen owl fans got to watch her on the pole for about 10 minutes before she flew far off into the field once more. What a fantastic bird for my ABA lifer #249. 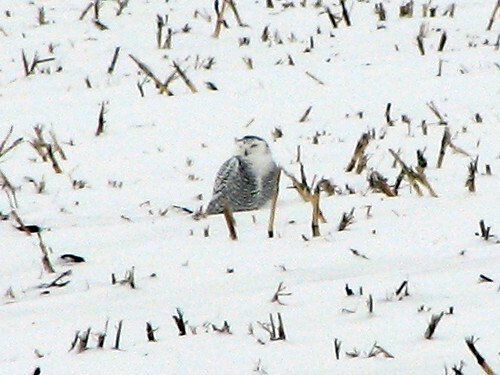 I took some more pictures, which you can see here: Snowy Owl photos. 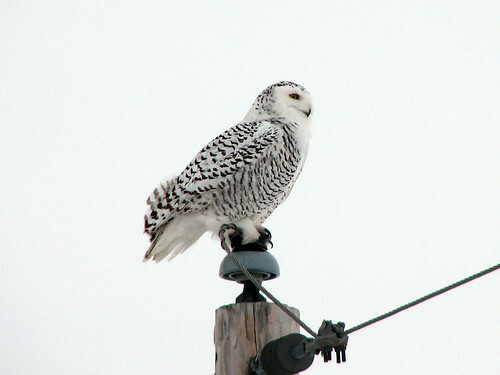 There are some more amazing photos of this bird, taken by very talented photographers: Joan M’s Snowy Owl (amazing flight shot! 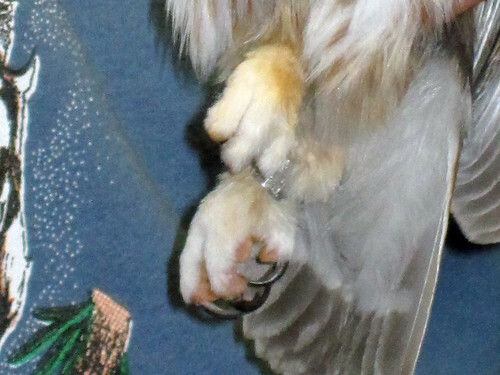 ); Illini Images’ Snowy Owl (look at the feet! 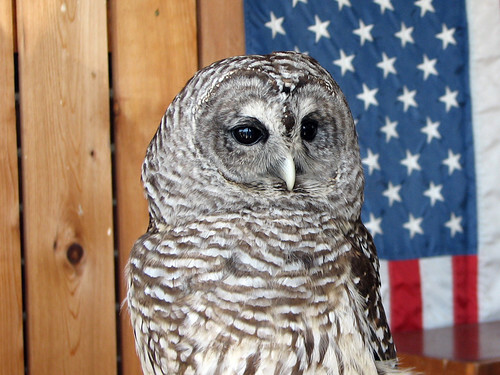 ); Rattlin Antler’s Snowy Owl (those eyes!). 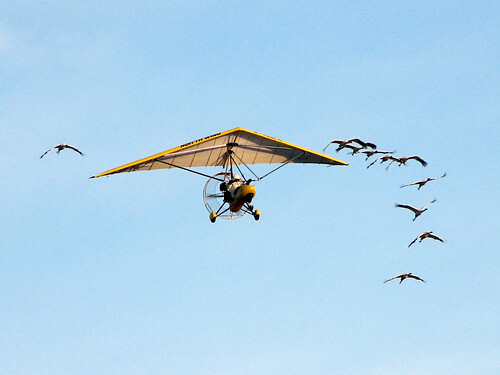 Operation Migration [OM] has been working to reintroduce critically endangered Whooping Cranes into the wild since 2001. 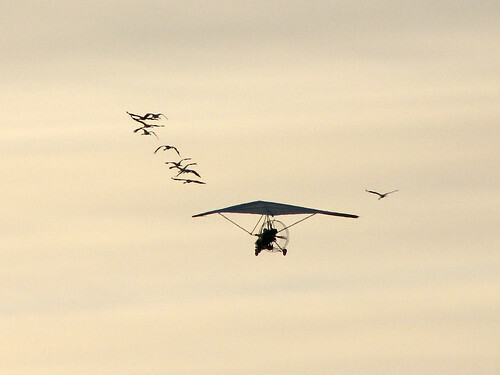 Their goal is to establish a migratory population of Whooping Cranes in the eastern part of North America. 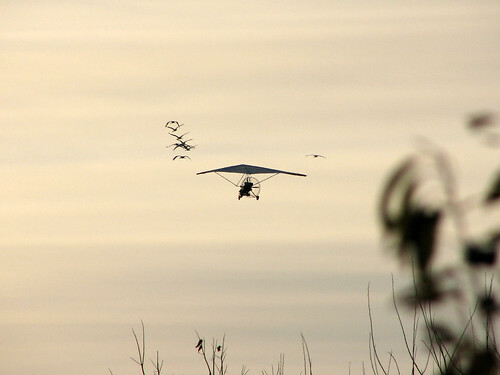 Each fall, part of their work involves flying first-year birds from their breeding grounds in Wisconsin down to wintering grounds in Florida with the aid of ultralight aircraft. On Sunday, October 31st, Arthur and I were lucky enough to see the cranes as they departed their Fall 2010 stop in Winnebago County, Illinois. 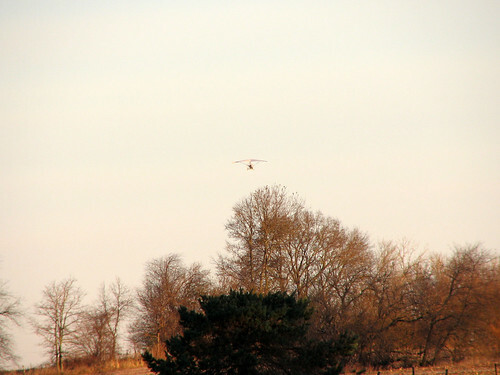 Arthur wrote up a nice post, which contains more information about OM, on our personal blog: Whooping Cranes and Operation Migration in Winnebago County, IL. Volunteers with OM were on hand at the viewing site to let us know what the pilots were doing. 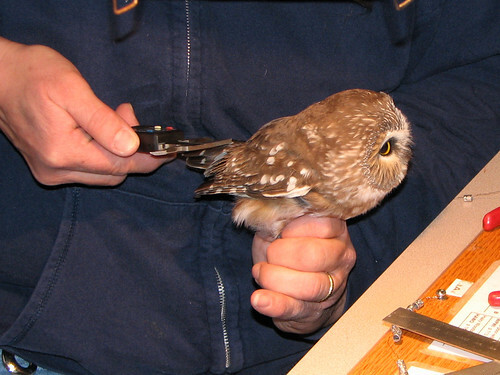 The first step was to test the flight conditions. 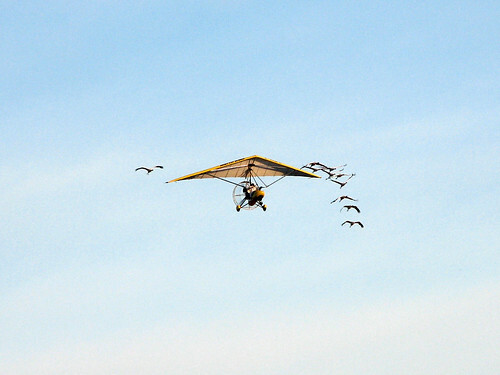 Once the initial flight was made, and conditions were deemed suitable for flight, the ultralight planes circled back to get the birds*, and they were on their way. 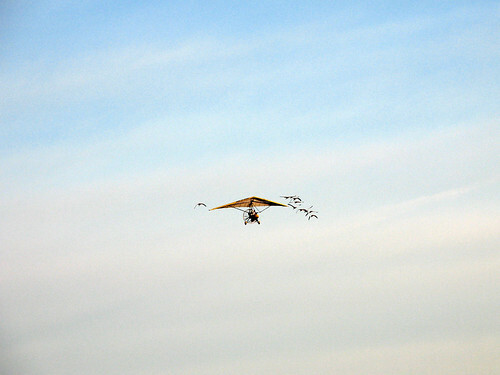 Two ultralight planes accompanied the flock of 10 birds. The first plane appeared in the distance. Soon we could all see the flock of birds-and-aircraft heading our way. The flightpath brought them directly over us as we waited in the viewing area. It was very exciting! I stopped taking photos and stood in awe as they passed right over my head. I snapped a couple more pictures as they headed off towards the sun. 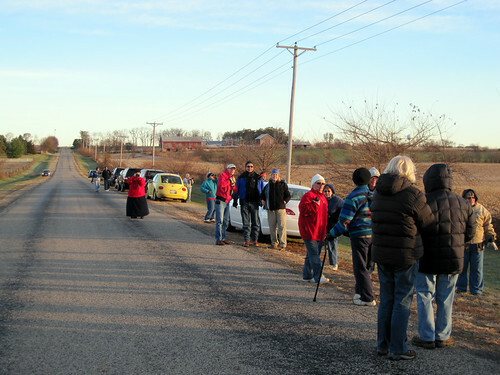 Here is the group of “craniacs” at the viewing site shortly after the flyover. 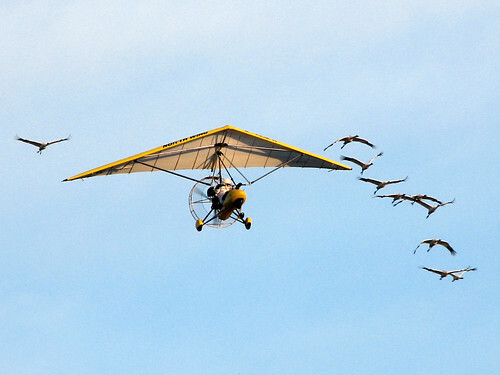 Over the next few weeks, the cranes will follow the ultralight aircraft as they make their way to Florida. 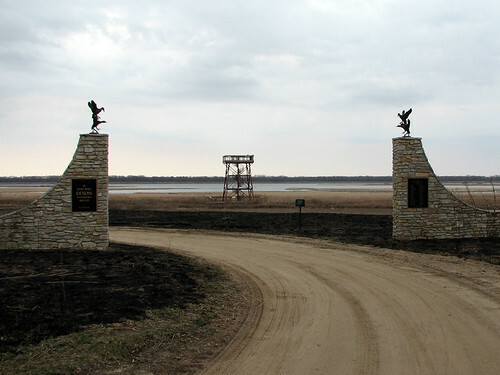 Several stops along the migration route provide viewing locations, so you can go and view the birds flying overhead, as we did. You can also watch the birds online via the Operation Migration Crane Cam, and follow along with their progress via the Field Journal. You can help support Operation Migration by making a donation, becoming a member, or purchasing Operation Migration merchandise. *This is an extreme simplification of the process. 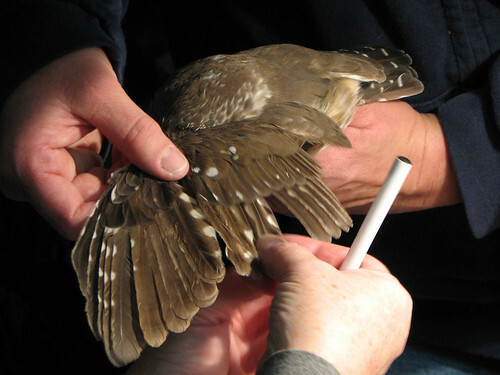 Follow the Field Journal to learn more about the process of teaching these young endangered birds how to migrate.